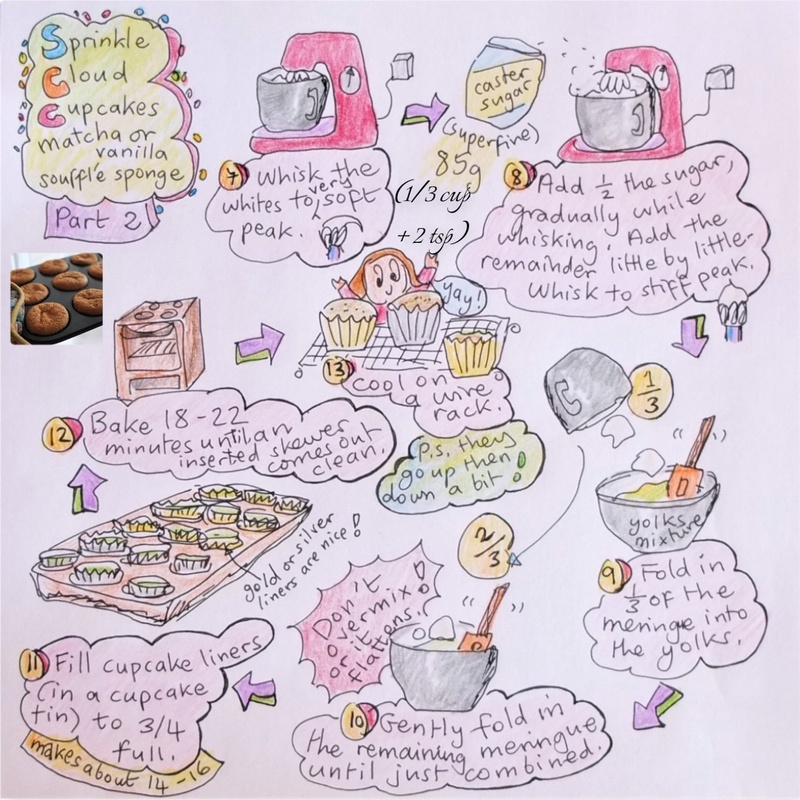 In fact I drew up a list of cakes to make this year in the previous post. 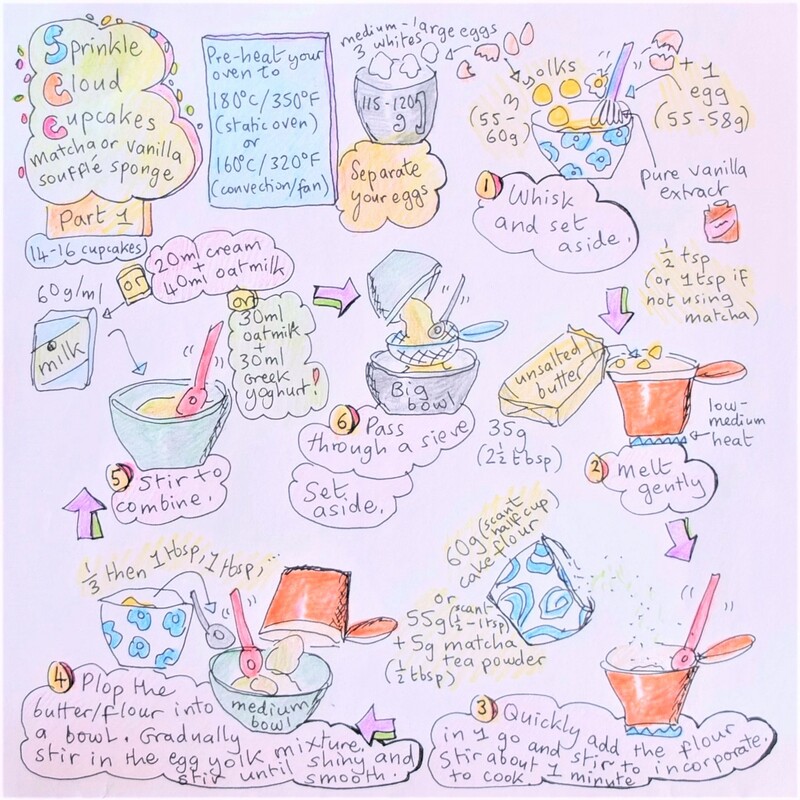 One was a soufflé sponge roll cake but I thought we’d enjoy it in the shape of fun, colourful and relatively easy cupcakes – just right for the new year. 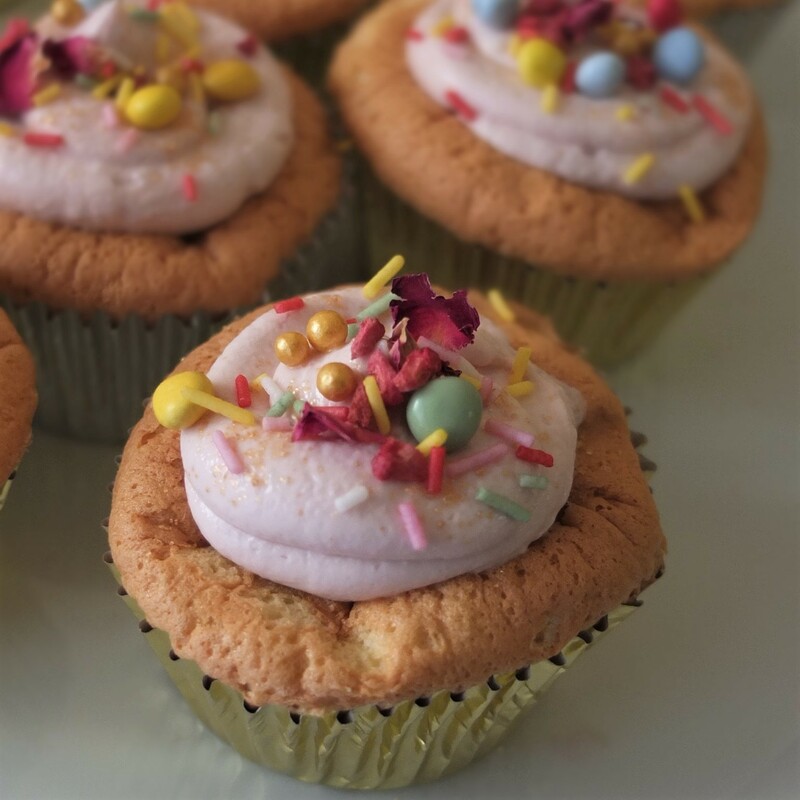 They can look cheap and cheerful or even classy in gold or silver cupcake liners and the right lighting…! 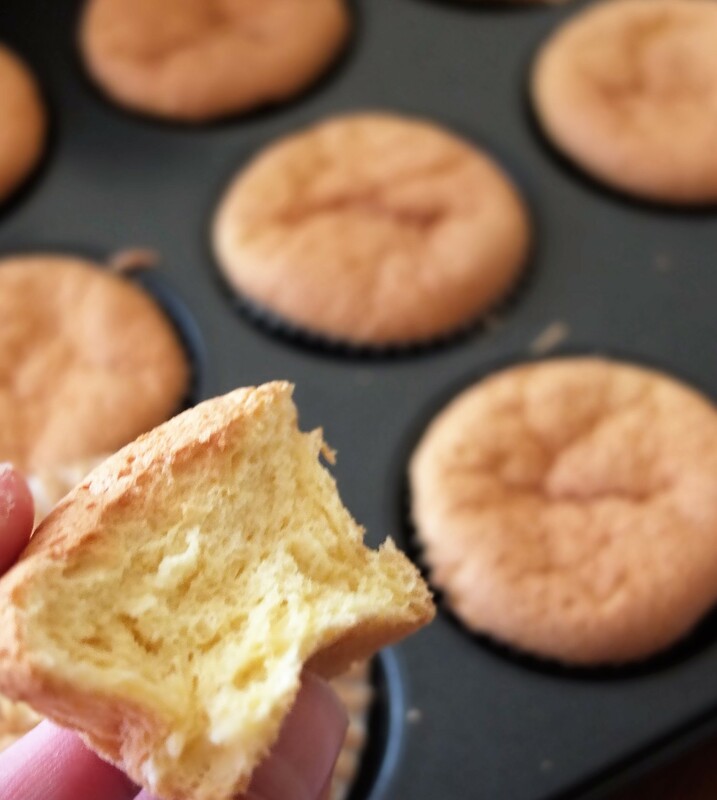 The recipe is slightly adapted from Keiko Ishida’s soufflé sponge roll. 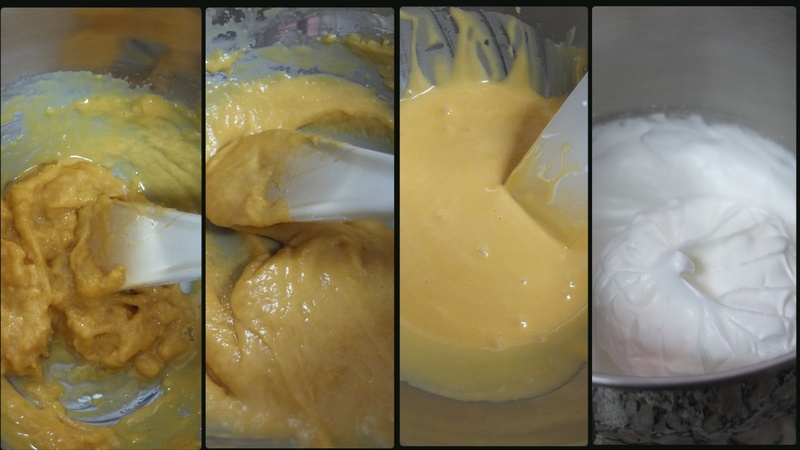 The quantities are modified and instead of cow’s milk there’s a blend of oatmilk, greek yoghurt or cream depending on what I had in the fridge. 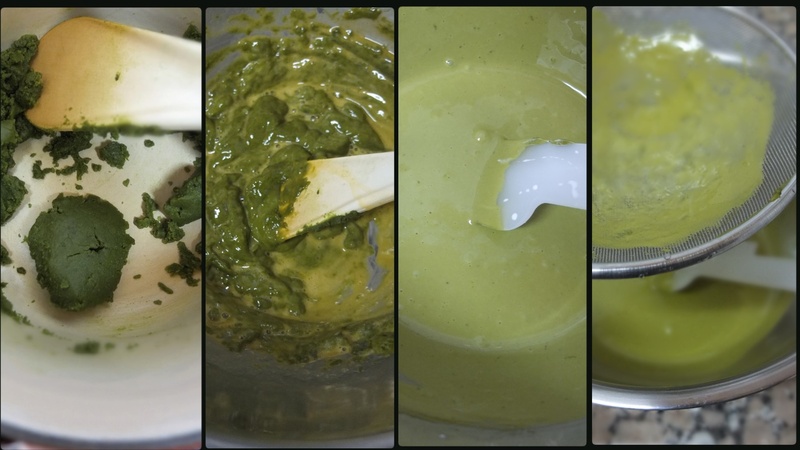 Also when adding the matcha I decreased the quantity of flour and vanilla extract accordingly. 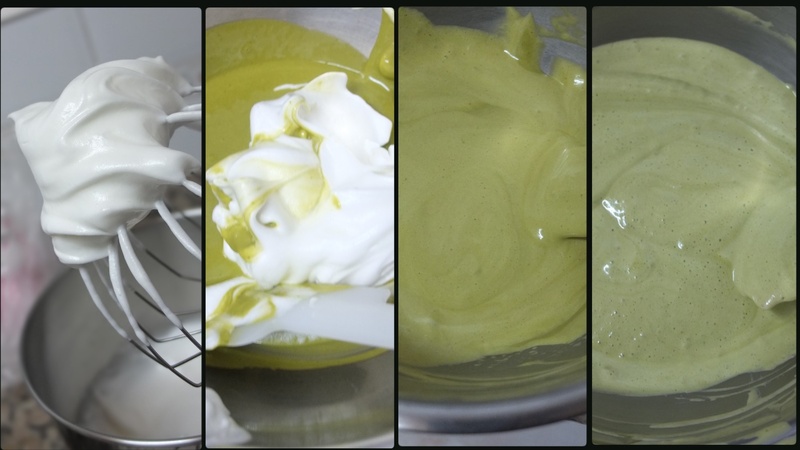 Both the matcha and vanilla versions are lovely. The topping was invented and you can play around with it. 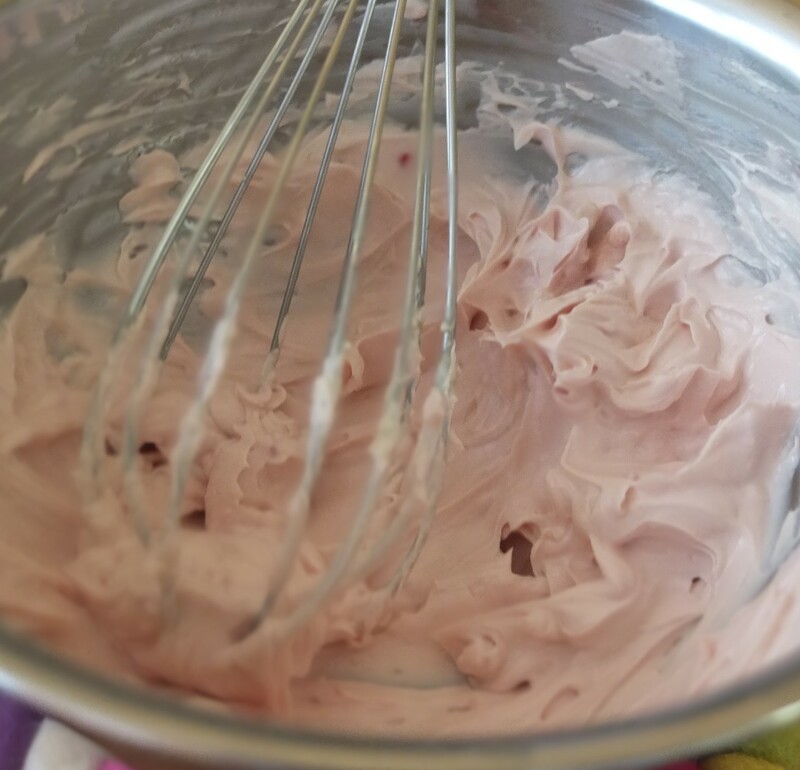 I initially used more Philadelphia cream cheese but found the frosting a bit too savoury. Substituting half with ricotta mellows it out nicely. 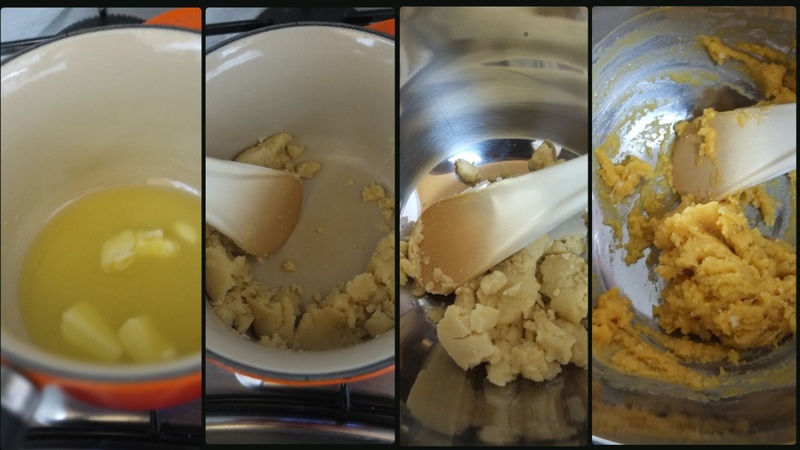 Previous day: pass 100g/3.5oz ricotta through a sieve into a medium-sized bowl. Cover with plastic film and store in the fridge. 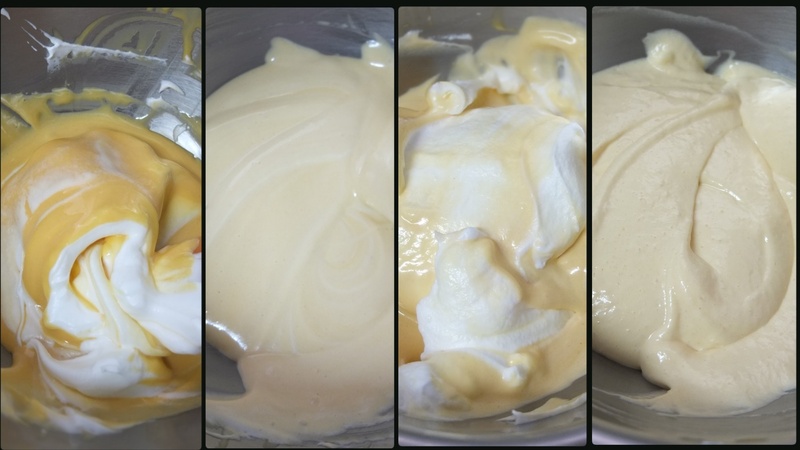 Same day: whisk together 100g/3.5oz Philadelphia cream cheese (at room temperature) and around 35-50g/1 to 2 tablespoons maple syrup (to taste). Fold in the ricotta and whisk lightly in if necessary. Light whisk or fold in 8 to 10 teaspoons of raspberry pulp (made by crushing raspberries with a fork – easier with defrosted frozen raspberries). 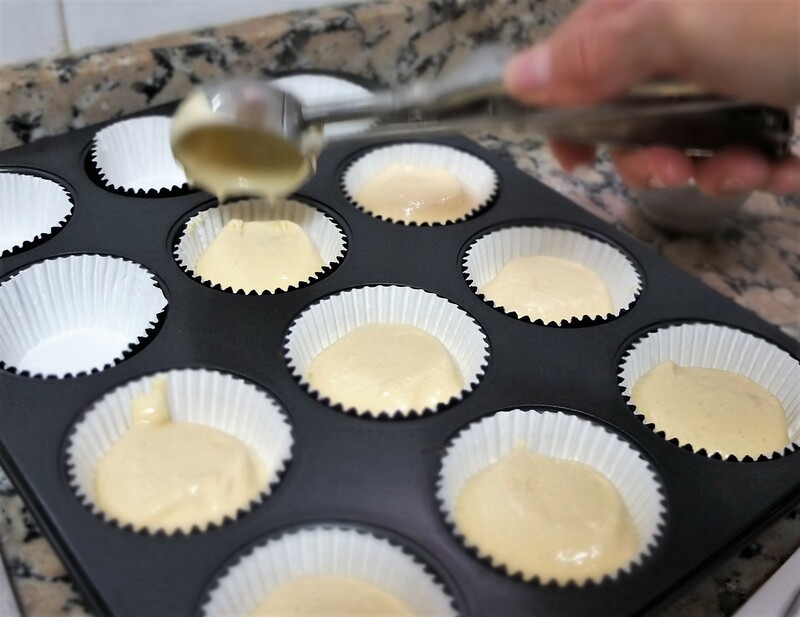 place cupcake liners (preferably gold or silver) in a muffin pan – they rise much better when placed in a muffin or cupcake pan. They’ll puff up nicely in the oven but when they come out they’ll start deflating just like real soufflés! Don’t worry, they’ll still be delicious. Let them cool completely then pipe some frosting on them and decorate. Pipe or dollop the frosting on the cooled cupcakes. 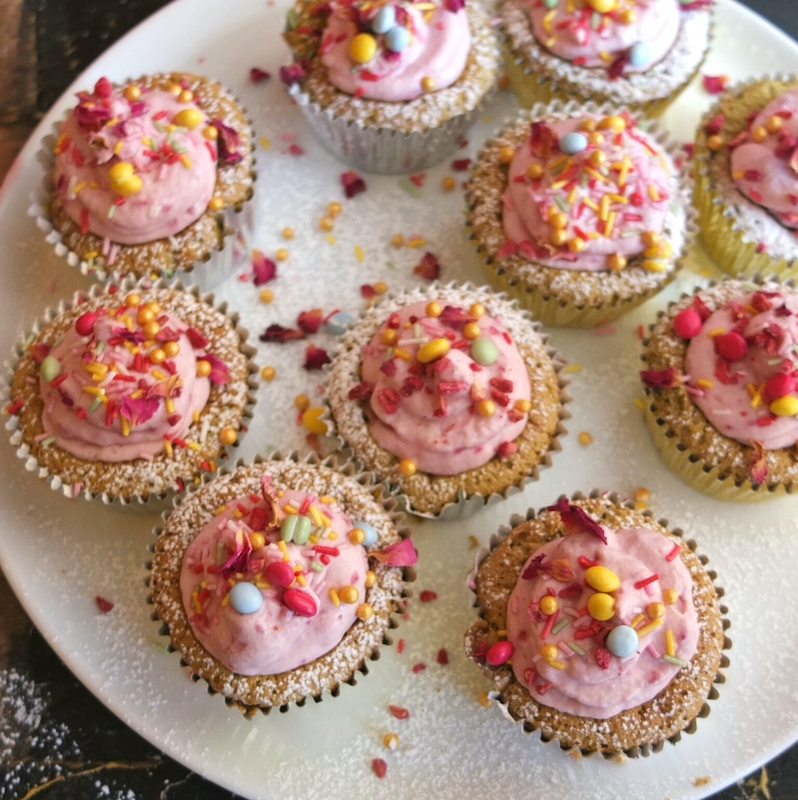 Sprinkle with lots of lovely colourful stuff, like mini chocolate beans, freeze-dried raspberry pieces, funfetti, rose petals or gold and silver balls. 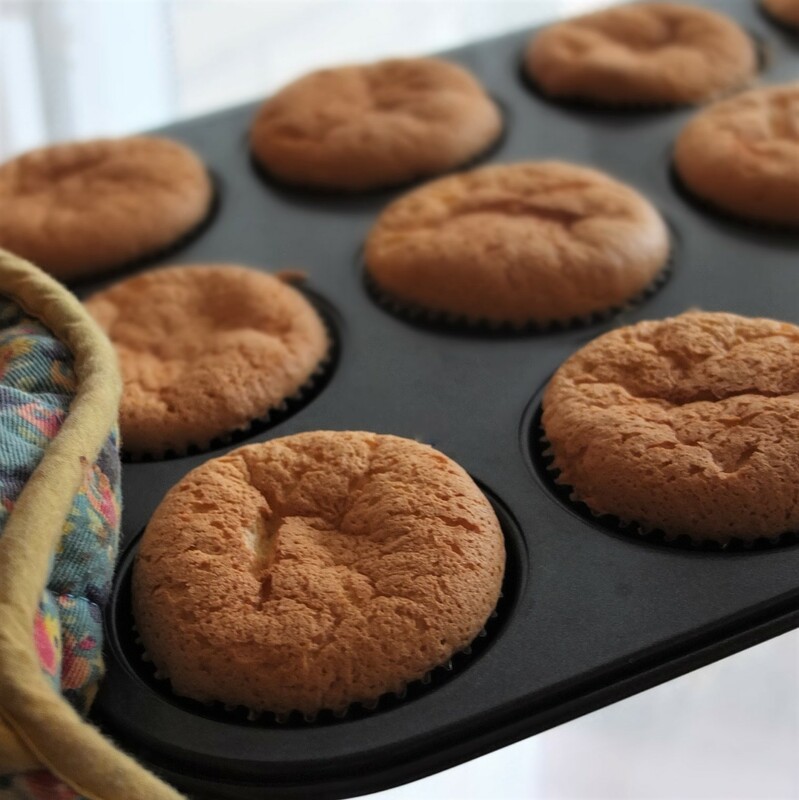 These keep a day or so in an airtight container at a cool room temperature or 4 to 5 days in the fridge, but take them out 30 minutes or so before eating so the sponge becomes light and fluffy again. 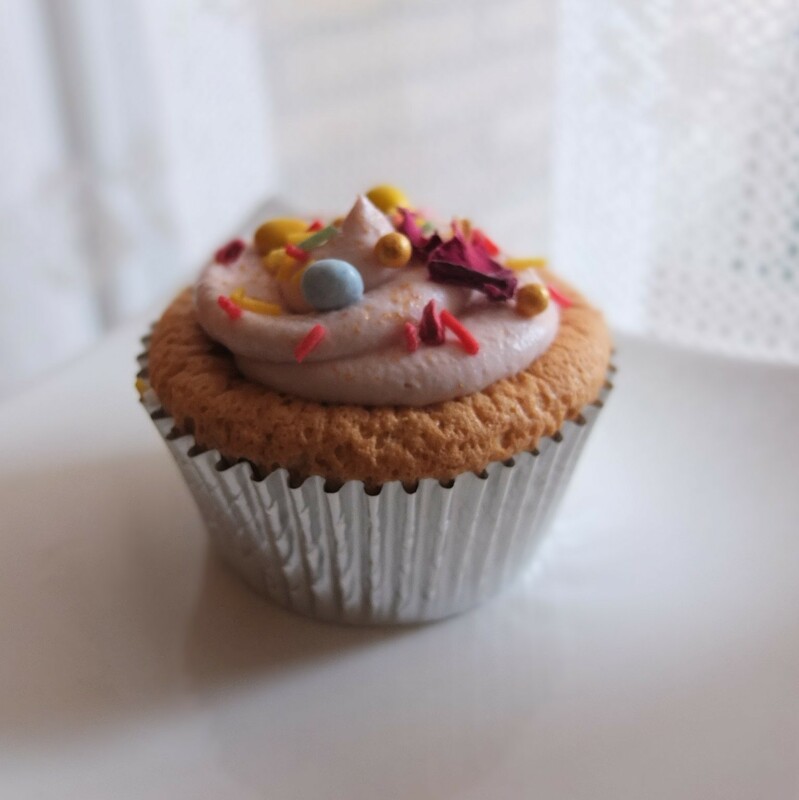 Have a sprinkle cloud cupcake! Beautiful frosting! I love the color and the fact that it has maple syrup in it! That would be lovely to have u participate! ! Beautiful doodle of the process. Cupcakes look amazing! Wow! They look amazing. I have never attempted a soufflé sponge, but I am intrigued! Brilliant!! They looks absolute Gorgeous!! Lovely, Lili! 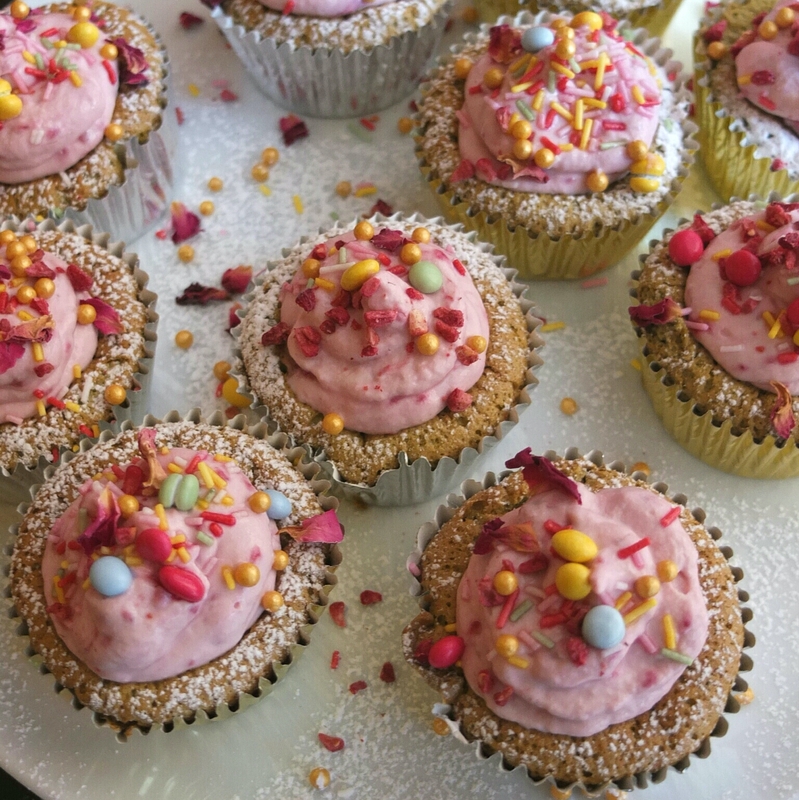 Each muffin seems to be a child’s party in itself with all those funfetti, rose petals, freeze-dried raspberries, little gold balls and the lovely soft pink color. 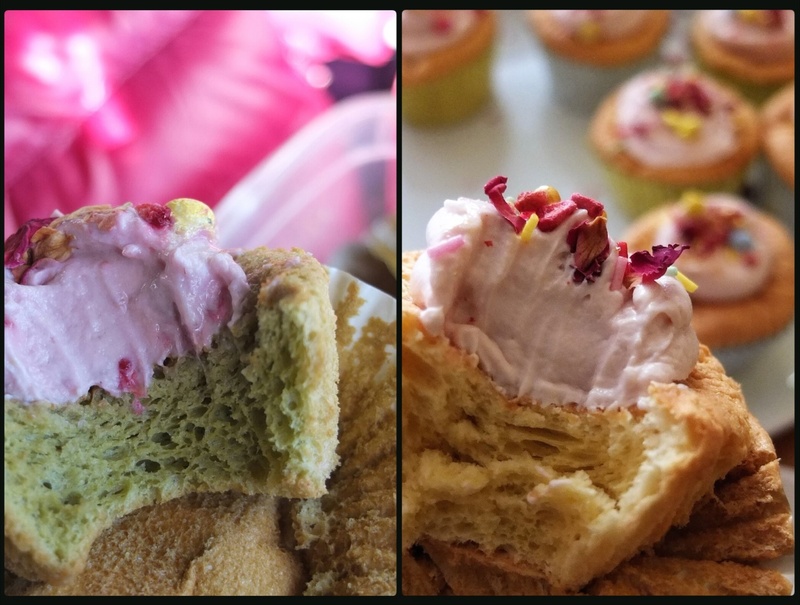 And those flavors of matcha or vanilla combined with the raspberry frosting…. mmm oh my! I want to eat 10 at once! (I just can help it, I’m gluttonous 😀 ) Have a great week!